From 2001 to 2013, Michael Vecchione was chief of the Rackets Division in the Brooklyn District Attorney's Office, which was the largest urban prosecution agency in the country. Vecchione grappled with organized crime and dirty politicians, during which he supervised, investigated, and prosecuted major felony cases. Crooked Brooklyn is a gritty story of corruption, greed, and law enforcement. Vecchione navigated a political minefield and expertly rose to the judicial challenges of directing investigations into a wide variety of crimes, from bribe-taking judges to cold-blooded killers. 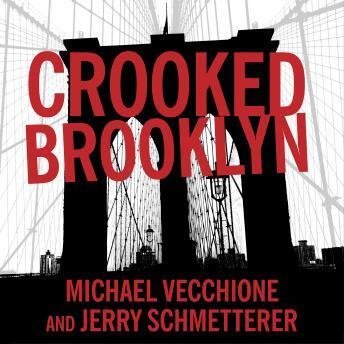 He was responsible for taking down three state Supreme Court judges, one of the most powerful political bosses in the country, two cops who worked as assassins for the Mafia, and a corrupt oral surgeon who was secretly selling bones from the recently deceased to medical supply companies.Unbelievable and unforgettable, Crooked Brooklyn is a story that will appeal to fans of Law & Order, readers of true crime, and those hungry for details about the system that keeps us safe.